This year's film unit is taking even a steeper climb through the South American Continent. 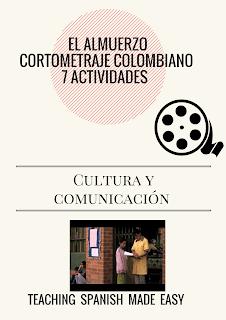 ( Click here to see the post about 5 film activities for your class. Most activities are free! ) I've added two films to explore cultural themes and social issues while conversing in the target language. 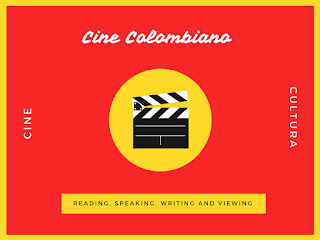 On a personal/pedagogical note, this year I have been learning about MovieTalk, a TPRS strategy for enhancing listening comprehension and focusing on structures. I am still learning about this key strategy in facilitating conversation using film, I am no way an expert, but I have incorporated some of those practices in my class (Check out my Wanna-be-Movietalk activity: Eight free engaging activities for teaching the preterit and imperfect tenses). I am slowing incorporating these strategies as I go. Shall we take a peek? ¡Dale! 2. Writing about their favorite movie, using the vocabulary. 3. Pique their interest in Hispanic movies by allowing them to view images of movies and read summaries/ respond to questions (I have used this activity in Spanish Club). 4. A short activity of films shots, I go all out in my film unit! 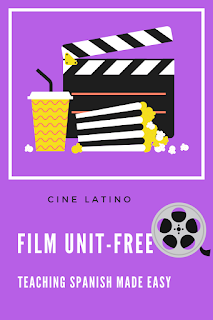 I used the Free Film Unit to introduce vocabulary and get students discussing movies in Spanish. The movie images come with summaries (upgrade from last year, if you downloaded this activity) and the narratives really pull students in. This can be used as part of a film unit or as a teaser or cultural assignment... or even sub plans (I'm just saying). Check out this teacher's Movie Packet. I purchased it and use it every time I watch a movie. This resource is really my go-to for anytime I have found a great resource, but have not either created materials or found them online. It is very simple and I have used it mostly with series or in Spanish Club. Now on to the films! The featured article below is a sad but true event that occurred a few years ago. A model from Medellín, Colombia made the regretfully dreadful decision of becoming a mule. 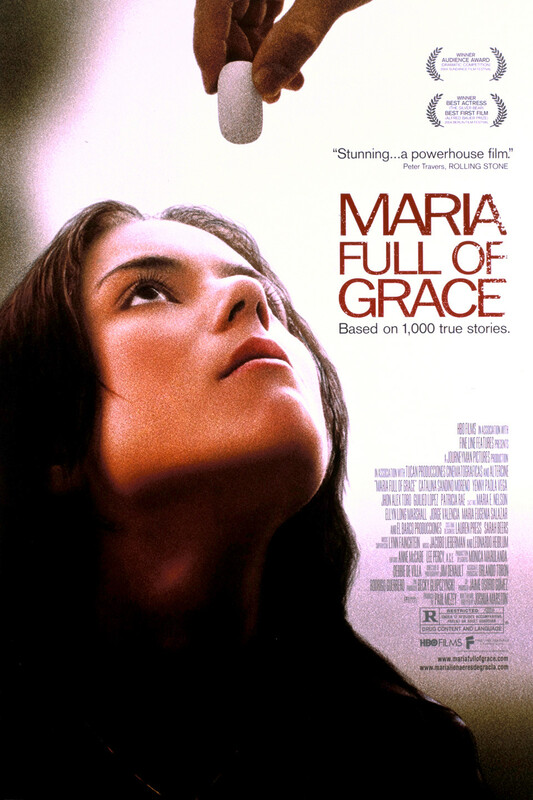 We read this article right after seeing the movie María, Llena Eres de Gracia. This news article sheds light on this issue and the kids were very surprised, even after watching the movie. Click on the original news article here, for your native speakers! Click here for the free "Comprehensible Input Version." I have to say that I only added a few things. I thought that most of the words used were cognates or easily identifiable. I might have changed phrases such as " le cayeron veinte años" for "recibió veinte años." After reading this article with two classes, I decided to change things up for the third class. Turns out that the students in my second class actually googled her and found out that she was sentenced to 15 years; hence my notation in the article. Also, they found a video of her modeling days. Prior to giving the last class the article, we watched the modeling video. I told them that the video was about an up and coming model from Colombia. After the video, we read the article and, boy, were they surprised. This had more of an impact because this girl is young, beautiful, obviously not poor, had a youtube presence and was blossoming as a model. We then read the article and responded to questions. Click below for the video, and it is totally appropriate. 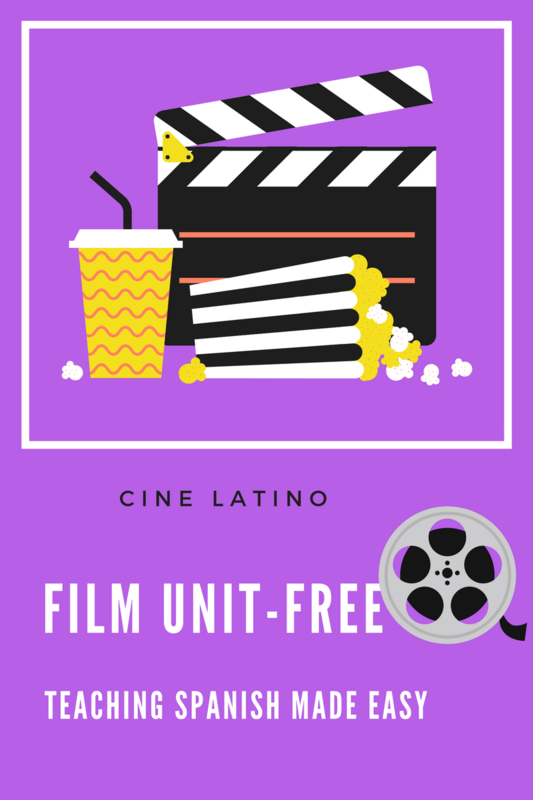 Check out the film resources below! Looking for student-friendly novels and/or short stories for Spanish (or French) class? 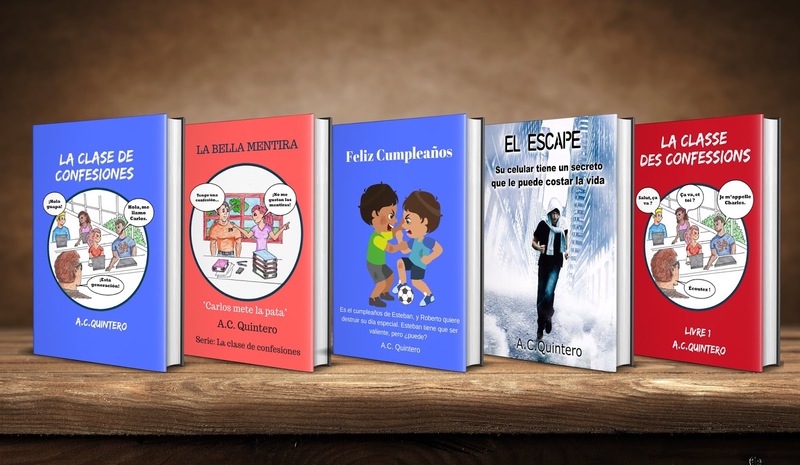 TPRS/CI novels are perfect for language learners as they couple the principles of language acquisition (repetition/compelling storylines) with students' interest. 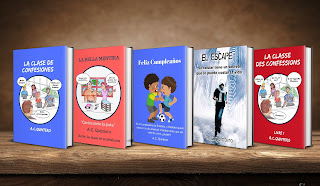 We've got readers for all levels of Spanish. Check out the selection below! Looking to order some readers for class? See the catalog at the end of the page! La clase de confesiones: Students will see themselves reflected in this story! 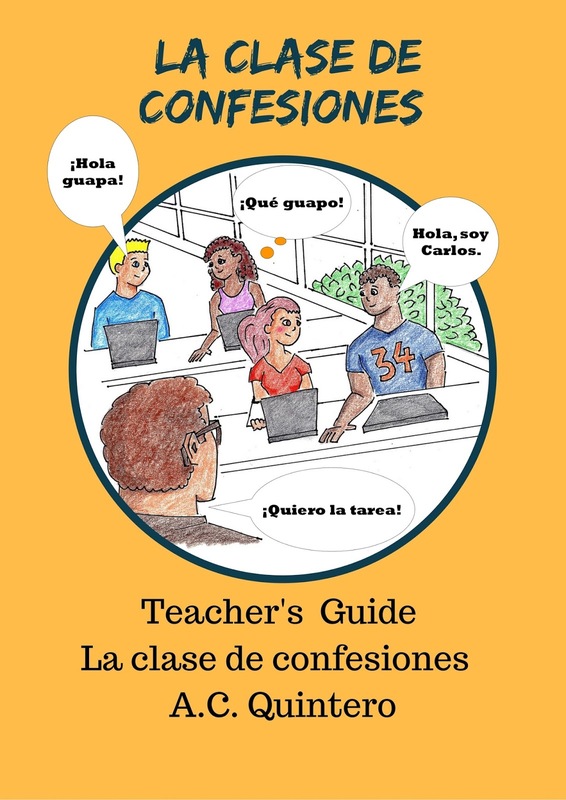 "La clase de confesiones" is the perfect novel for your Spanish level 1 students or review for Spanish 2. 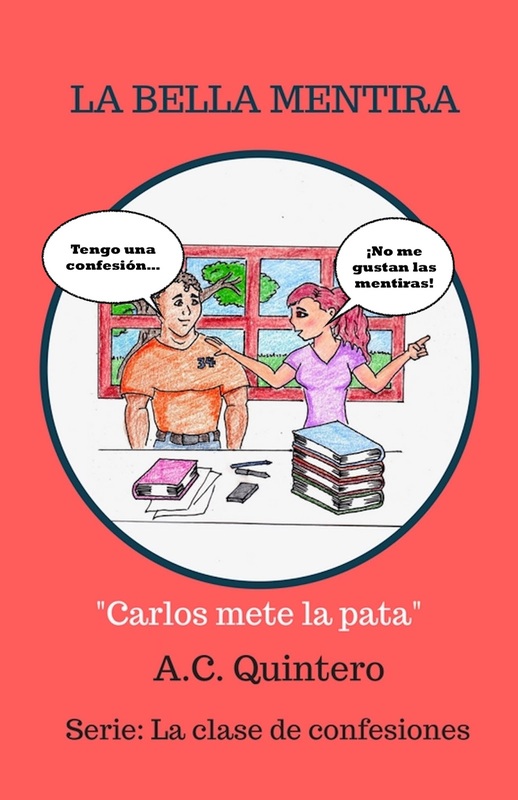 With several illustrations, this story is told mostly in the present tense and features essential vocabulary for discussing, school, classes, teachers, and of course, el amor! Your students will see themselves reflected immediately in this classroom drama. They will empathize with Carlos as they come along on his crazy adventure! Best of all, the story has only 130 new words such as common words or phrases such as le gusta, tiene que mirar, busca, quiere, etc. Most of the vocabulary words are cognates so that students don't miss a beat! Why use this novel is class? Here are a few reasons! Good old fashion lines... some from your favorite teachers! The adventure continues in the sequel! Carlos hates Spanish class with a passion but finds the will to survive when he lays eyes on Jessica. She is the reason he "tolerates" his boring class. However, his secret crush is compromised when his teacher decides to “shake things up a bit” in class. A simple writing assignment turns out to be a lethal injection to his social life and by extension his chances with Jessica. First, his nosy teacher tries to “set him up with Jessica,” this plan immediately backfires. Then, the unthinkable happens, and Carlos is stunned. This turns into one of the most embarrassing moments in his life. But all is not lost. 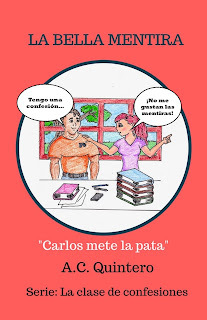 Carlos invites you to come along on this adventure into "La clase de confesiones" where…" todos tienen una confesión," even the teacher! Author's note: This novel pairs well with a school unit as most of the vocabulary surround the school and the classroom environment, and "classroom crushes" all students have them! This story was originally written to recycle vocabulary associated with school supplies in addition to basic Spanish verbs in different forms. Therefore you will see a lot of vocabulary words tastefully repeated (which is good for acquisition). The unique word count is around 130. My students loved it (and so did many others). They demanded I write a part 2 (you will see why at the end), and I obliged. See purchasing options at the foot of the page. Also, check out our short story resource center! Your students won't be disappointed, and neither will you! The confessions don't stop there, part 2 is chock full of even more confessions... the best part, you don't even have to read the first book! The second book in the series can be read as stand-alone...saving the best for last! 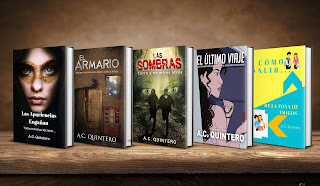 ¡Pobrecito!...Las aventuras continurán en la segunda parte. Carlos is having a bad day, and it's about to get worse. He leaves Spanish class utterly embarrassed. He had no idea that the teacher was going to partner him up with Jessica, the girl he actually writes about in his class essay. Adding insult to injury, the teacher reads his essay in front of the class, even the mean-spirited things he wrote about his teacher. After running into a few more problems in math class, he is faced with the big showdown in the lunchroom. Now, Carlos is between *"la espada y la pared." However, a short story in Spanish class may hold the key to all of his problems, and may ultimately lead to his biggest confession of all. Find out in part 2! French Teachers, we've got you covered as well! The "Confessions" series is also in French! The French Level 1+ novel, "La classe des confessions" (part 1) is written almost entirely in the present tense. It is the perfect novel for reviewing school vocabulary, classes, relationships, basic French I structures in the Target Language, and, of course "l'amour." Sprinkled with authentic and witty expressions, students will see themselves in the story, as well as their teachers! Although this book is part of a series (2 books), book 1 is a standalone novel...but students would want to read part 2: Le Beau Mensonge! Synopsis: Charles hates French class with a passion but finds the will to survive when he lays eyes on Justine. She is the reason he "tolerates" his boring class. However, his secret crush is compromised when his teacher decides to "shake things up a bit" in class. A simple writing assignment turns out to be a lethal injection to his social life and by extension his chances with Justine. First, his nosy teacher tries to "set him up with Justine," this plan immediately backfires. Then, the unthinkable happens and Charles is stunned. This turns into one of the most embarrassing moments in his life. Charles invites you to come along on this adventure into "La classe des confessions" where everyone has a confession, even the teacher! 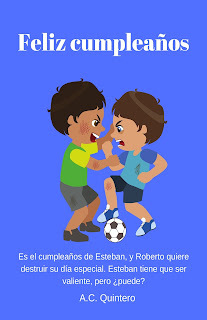 "Feliz Cumpleaños" is the classic bully story with a twist. Esteban just can't get a break, even on his birthday! From the forgetful teacher in class, to the bully who takes his lunch, he is at his wit's end. Although his day starts to brighten when a good friend and love interest wish him "happy birthday," he is still subject to Roberto's (the bully) attacks. When Cristina is thrown into the mix, well, things get more complicated. Esteban has an uphill battle and must muster the courage to stand up for himself, on his birthday! What are the themes this novel highlights? (Recommended Levels: FVR (all level), 5th-10 grade). 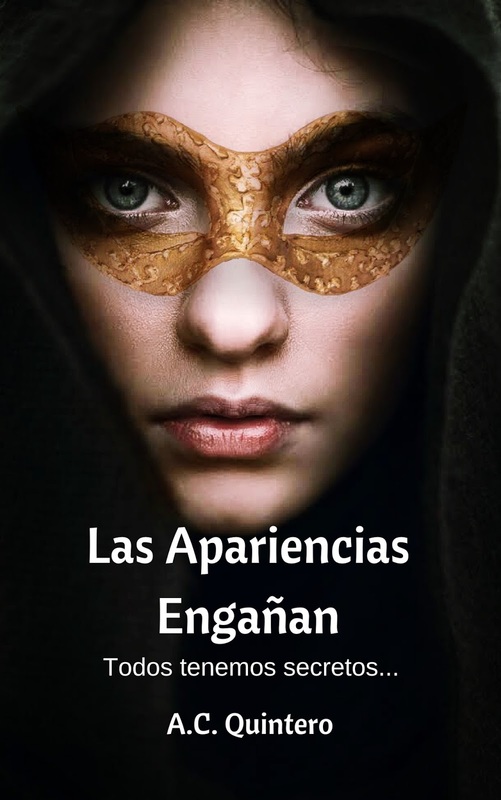 This story is perfect for Spanish I Novice-mid students as the language includes mostly -ar verbs and is written in the present tense. The story is organized into 4 short chapters. Vocabulary is footnoted in addition to being integrated into the pre-reading vocabulary and grammar activities. My class really enjoyed this story of the “underdog” student who ultimately stands up for himself. Although a very simple story, there are a few twists and turns that will grab students and endear them to Esteban. 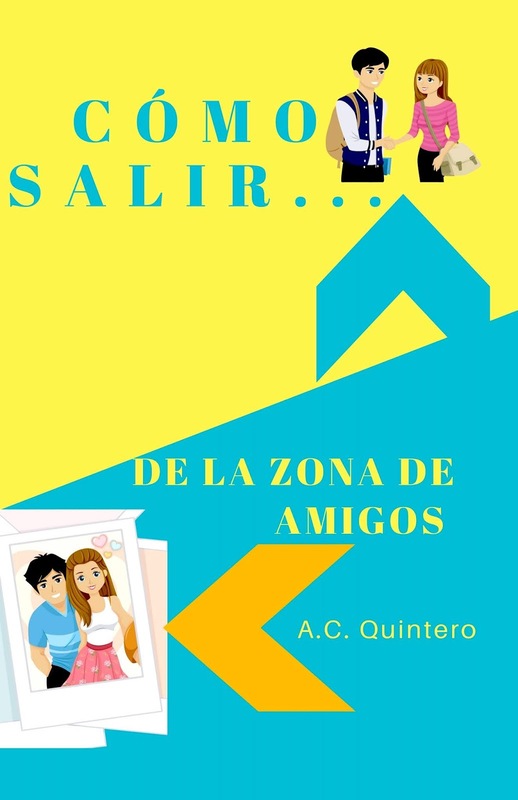 "Cómo Salir de la Zona de Amigos"
Most of your students will be able to relate to this story. What happens when you start developing feelings for your best friend? 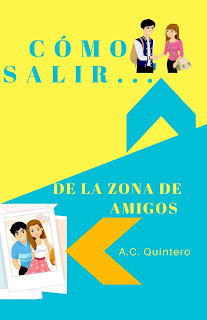 "Cómo Salir de la Zona de Amigos," may just have the answer! #funny #exciting #compelling #crazy #didhejustdothat?? #ohyeshedid! Students love stories where social and moral conflicts abound, this is one such story. This engaging story will grab your students from the very first page. They will be on the edge of their seats as they live through the shoes of a young model who has the world on her shoulders. 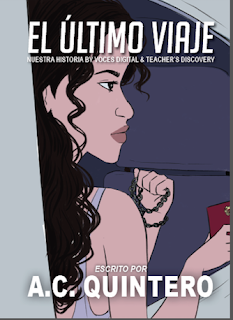 El Último Viaje is based on true events and is a story that teaches about decisions, forgiveness, and hope. As a design student, Valeria wants to play an intricate part of the vibrant, colorful, international fashion, and modeling industry in Medellín, Colombia. Her beauty is her passport, and her connections catapult to new heights. Adrenaline, ambition, and adventure drive her thirst for success. As glitz and glam steal her heart, her core values are challenged. Life takes some unexpected turns, and Valeria encounters detours that lead to different paths. Each path has its own set of risks. There comes a time where we each have to choose our own destiny. How will Valeria choose? Crime (related to the main plot). 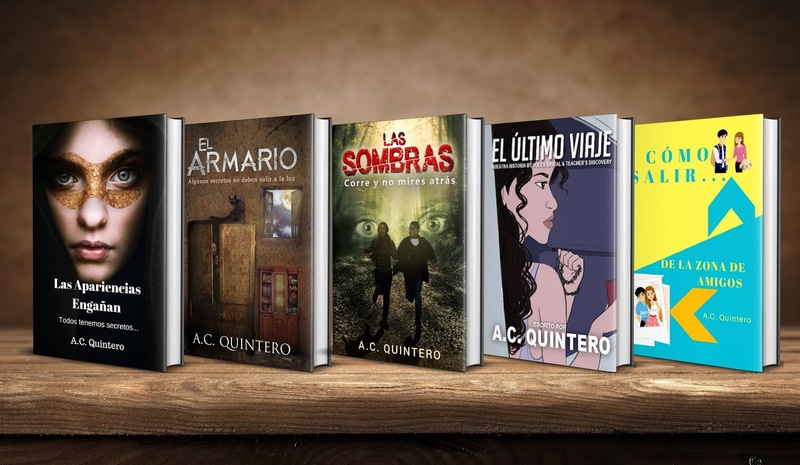 *This novel is part of VocesDigital by Teacher's Discovery and A.C. Quintero. Diego Ojeda (Bogotá) and Diego Cuadros (Medellín) made significant contributions to the cultural elements highlighted in the story. Get ready for adventure with a cautionary twist! Federico and his friends have a pretty simple life. They love to play basketball, soccer and go skateboarding at the park. They also love to go to their favorite hangout out, La librería Curioso: the only abandoned building left in town. This space gives them the privacy they need to practice pranks and other hilarious stunts to upload to Youtube. But the night of Friday the 13, their jokes go sour. While shooting the breeze and popping firecrackers, they stumble upon an uncanny situation. In an effort to satisfy their curiosity, they witness something will change their lives forever. Now the boys have to escape the situation, alive. 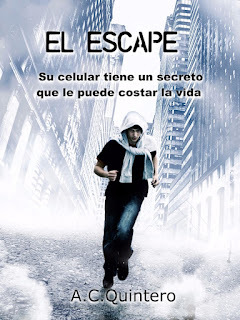 El Escape is an action-packed novel from beginning to end. The main character and his friends record something that they should not have, and now they are on the run! Lots of twists and turns. Your girls will be intrigued, but your boys will love this story! *There is a little bit of violence (the scene observed by the main characters). We have all heard the old adage “If you play with fire, you'll get burned.” Well, some teenagers like to test the flames. Camilo is one of them. He has been masquerading as a model young man. However, his act can only last so long. His mask starts to crack, his foundation crumbles, and the fire he has played with begins to burn. However, he's not the only one entangled in a web of lies and his secret is only the tip of the iceberg. Once inside the halls of his home, we discover a far greater mystery that has haunted the town for years. As the truth comes closing in, the pressure mounts and Camilo must decide which path to take. 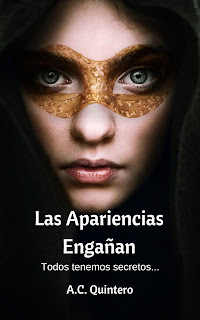 This compelling story attests to the timeless truth that things are never what they seem, or "Las Apariencias Engañan." If this novel is not enough..check out the sequel below. All the secrets you learn about in Las Apariencias Engañan, start marching out the closet one by one. 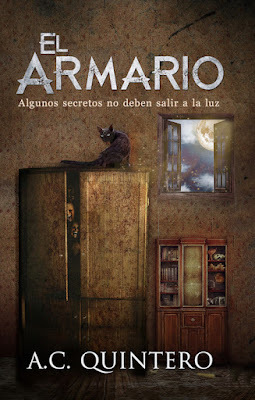 El Armario is the sequel "Las Apariencias engañan. "However, it can be read as a standalone novel. All the critical aspects of part 1 were skillfully interwoven into the novel. But, we shouldn't deprive students of all the juicy drama of part 1! Liliana has bitten off more than she can chew and her secret life has spiraled out of control. Liliana, however, is far from being the sole keeper of bones: someone has a secret darker than hers. While at a “friend’s” house, Liliana stumbles upon perplexing discoveries...the kind for which people may kill. Time is running out and Liliana must make a decision. For every decision, there is a trail of consequences. Liliana will soon discover that everyone’s closet holds skeletons…but some bones are bigger than others! 5. "La classe de confessions" Free Teaching Materials. 6. Watch Cecile teach this novel to class! 5. "El Beau Mensonge" Student Activities (Coming soon).